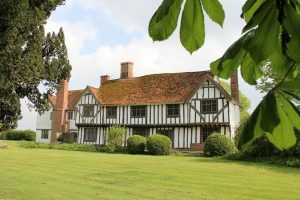 I have offered the broad range of Hypnotherapy for retreat guests in the Lavenham Suffolk area – please see my HYPNOTHERAPY TREATMENTS page plus my Past Life Regression page – I was featured in Chat It’s Fate as a Past Life Therapist and have featured in Leading Author on PLR Jenny Smedley’s books. 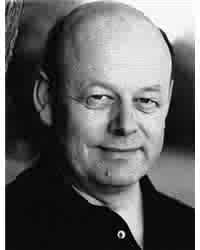 I am also a qualified Drama Teacher and have been an Actor, Teacher, Theatre Director, Writer ( and salesman!). I also trained scarers at the London Dungeon but that’s another story. I am about to launch MISSING PIECES a new show featuring Ballroom Dance and choreographed by Strictly Come Dancing Choreographer Richard Marcel. Also at the retreat are EARTH ANGELS with a wide range of offerings. There is Yoga and also many inspirational activities including Yoga for Addiction – I will be listing this more fully soon! Graham Howes ASHPH GQHP CNHC recognised GHR registered GHSC regulated Advanced Hypnotherapist and NLP Practitioner, Deep Trance Specialist, Past Life Regression Therapist, and Timeline Therapy, Dream Therapy, Qualified Drama Teacher, Ex Harley Street Hypnotherapist, PTSD and Trauma Therapy and more …. If you are interested in meeting like minded people in a friendly group then please do let us know as places are limited. £5 entrance includes all and drinks and snacks. I have been working with Visual Artist Hayley Lock using hypnosis to stimulate Art. Here is a link to a short fragment of a much longer session of Automatic Drawing. Hayley opens her eyes in deep hypnosis and to her amusement her hand independently takes off like a rocket – she even swaps hands! I will share more here from time to time. Hayley and I have shown this publicly at Senate House and as part of a Poetry Cabaret evening. Please contact me if interested. Also contact me if there is something else you would like to discuss. I am shortly featured in Chat It’s Fate as a Past Life Regression Therapist. This taster is part of an ongoing series using trance to develop spiritually and personally and remove blocks from your Life. Total Cost: £15 payable in advance via Paypal at info@edgehypno.com or in person at Butterfly Tarot address below. Butterfly Tarot Unit 66, West Yard, Camden Lock Market, London NW1 8AF. It’s very close to Chalk Farm tube as well as to Camden Town. You can find balance of mind, body and spirit through self hypnosis and NLP. Trance has been used right throughout history, ever since the days of the first Shaman, Temple Oracle or Wise Woman. Graham is an experienced hypnotherapist using hypnosis, deep trance, timeline, hypnoanalysis and NLP and is a leading past life regression practitioner. He also has a long career as Actor, Teacher, Theatre Director, and Playwright. STOP PRESS: I was featured in an issue of the Magazine “Chat It’s Fate” in Jenny Smedley’s column for my Past Life Regression work – she has also quoted some of my regressions in her books on the subject. Please to announce some esoteric workshops with myself and Derek Barnes exploring the ancient and largely lost art of shamanic chanting and healing which draws on many traditions from around the World. This was linked with Trance in many cases and channelling and we will explore this hypnotically in addition to learning how to chant. WE also hope to make a documentary on this and would encourage any interested documentary makers to contact us. I first worked with Derek on Blood Libel a play by Arnold Wesker and he helped us create a Medieval World full of improvised group singing and Monastic Chants. Derek is an expert in this and has had a very distinguished career in Music working at the National Theatre amongst other leading institutions. We propose holding this in London to a strictly limited group. Please contact me if you are interested. I will post more as it firms up – we are at early stages but we hope to offer this soon. Finding your authentic self through self hypnotic trance – a Mountain Trance and Yoga Retreat at Sensone near Barga Tuscany Italy. What blocks a successful life known or unknown?? Learn Self Hypnosis on a Trance and Yoga Retreat on a working Chestnut Farm in the National Park of the Garfagnana Mountains in Tuscany Italy to develop personally and spiritually – find what what blocks your success known or unknown? I am an experienced ex Harley Street Hypnotherapist and NLP practitioner and Past Life Regression practitioner – some of my Past Life Regression sessions can be read in Jenny Smedley’s books on PLR and she lists me as an expert. I have also been featured recently as an authority on Past Life Regression in the Magazine: “Chat It’s Fate.” We will be undertaking some Past Life Regression as a part of our explorations together. PLR is perfectly safe as I use tried and tested safe regression methods. I want to explore with a like minded group finding the authentic self through trance – this means getting in touch with your unconscious through hypnosis to strip away, delete or resolve what stops you, I want you to see each limiting or repressed thought that you may have that is connected with any problems in your material and spiritual life and question the past restrictions you put on yourself, or others put there, when you have continued to live by those precepts when it is no longer relevant. Change is possible and in fact a natural part of our lives! You can find that balance of mind body and spirit with hypnosis and NLP. Trance has been used all the way back from people like Castaneda to the first Shaman or Temple Oracle or Wise Woman. I will look at: What stops you? And teach you a meditation to manifest what you really want. We are all part of the collective unconscious we have different solutions to the same problems – we can find out what works best for us by the right kind of internal dialogue. We will also put you in touch with your Inner Adviser or Genius in the Temple or Higher Self or Superconscious – that part of you that knows just what to do and just how to do it. We will experience Past Life Regression and more.. and resolve what needs to be resolved. There will also be the opportunity for one to ones for the private work and CDs to take away to continue the work. “Psychology professor, William Ray at Penn State University, … and his teams of scientists and professors have done their own study of EEG and he said that it did suggest that under hypnosis, the individual has sensory sensations but the emotional experience of pain is completely removed. This is a big step forward in giving scientifically based credibility to hypnosis. When hypnosis works as a therapeutic technique, you can now be more sure that it is effective. It is now a proven scientific method that allows you to tap into your subconscious or unconscious processes. Work in the UK by Professor L G Walker, at Hull University Hospital, with Cancer and AIDS sufferers, has also suggested that the group of volunteers that had guided visualisation (ie Hypnosis) survived longer and had a better chance of recovery than the control group who had no visualisation. If you have a look at the BBC documentary on Hypnotherapy with Professor Kathy Sykes and the MRI scan performed during Hypnosis at Hull University – the brain lights up in a particular spot with Hypnosis that it doesn’t with meditation and suggestion alone. Hypnosis is entirely harmless and beneficial and you will always be in control – Trance is a natural state – a Sports person talks of being “in the zone”, a musician “in the flow” an actor “in the moment” and when you are textin, I suppose, “in the text”! We dip in and out of trance all the time – when we really want to focus our awareness we start to go into trance – we might be watching a film or reading a book and “get lost in it” or simply we have a deadline to make and we “get focussed” – this is what I call uptime trance. “Downtime trance” is when you go deep inside trance and get in touch with the unconscious part of you. That subconscious is incredibly powerful and remembers EVERYTHING that ever happened to you .. it runs your body – you don’t have to remember to breathe or beat your heart – you can’t remember everything consciously but it is all stored away – so you have a great storehouse of inner wisdom that is much greater than you are aware of – it had been calculated that your conscious mind can do 7 plus or minus 2 things at the same time .. while your unconscious can do up to two and a half MILLION things at once. 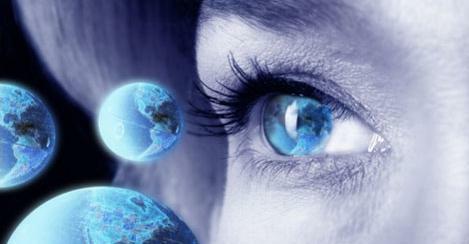 Just imagine how it would be if you had access to that amazing resource that is your subconscious? Well you do – through your imagination and trance and the techniques you will learn from my many years experience working with deep trance, hypnosis hypnotherapy hypnoanalysis timeline therapy inner child work and Neuro-Linguistic Programming NLP and Past Life and Present Life Regression you will access your subconscious to make the changes that you want. The subconscious is 80 % of your awareness and your conscious 20% so you are getting in touch with the most powerful part of your mind in a totally safe and secure way – whatever it is you want to do you can do it better free of past blocks and limitations! Weather permitting – and it does get hot – we may have parts of the course outside against the stunning chestnut forest and mountain backdrop. What is interesting to me, though, is that this scratches below the surface of the potential for Human Growth spiritually and mentally and that is what this course explores. We will have fun and also explore the countryside and Lucca (birthplace of Puccini) and nearby arty Barga in this stunning area of Tuscany. Summer is lively in Barga! There is an English Jazz Club and many Summer music events and time to enjoy them. Disclaimer: Places are limited. This course is not suitable if you suffer from epilepsy or a serious psychological condition such as schizophrenia or bi-polar disorder. Yoga sessions will be built around your abilities but again are probably not for you if you have serious injuries. The venue is a working chestnut farm and you will be staying in a house and the costs reflect whether you have a Private or Shared room. We will exercise mind and body in our time together to truly accelerate your learning and begin to make the changes that you want. Graham Howes ASHPH GQHP Clinical Hypnotherapist GHR registered GHSC regulated Fully Insured approved by CNHC Advanced NLP and Deep Trance specialist and Past Life Regression specialist. I am also an Actor Writer and Theatre Director. Mindful Yoga stretching will help to release the physical tensions that build up in conjunction with our emotional issues. There are many layers to the lessons I teach, and I relate the yoga principles to the physical poses and then to how they can apply in our lives. The main principle that I teach is that when we build our yoga postures we engage the muscles and draw in towards our core, which is engaged, and from there we can expand out through the breath and the hands and feet to express the pose. In the relaxation everyone lays on their back and I lead them through a visualisation. My favourite follows the principle of drawing in and expanding out. First we engage all the muscles and draw in towards the core and the heart centre, where our focus is, and then release at once with a big exhale keeping centered in the heart. As we meditate we imagine the heart radiating out through our entire being and then at the end of the meditation stretching out through the hands and feet we start to radiate out from our hearts into the world. The alignment of the shoulders is important for opening the heart centre. The tops of the shoulders move back and the bottom of the scapula moves into the back to cup the heart. Then as we inhale the breath expands the lower back as well as the belly which really opens the heart. I encourage deep breathing to release tension and I draw people’s attention to the moments of peace as the breath is suspended at the end of each in and exhalation. My classes are varied, fun and carefully structured and I offer modifications where necessary. I’ve been using the tips Graham gave me too, about how to go there first myself in the meditation … and the golden light being pulled through the body is a popular visualisation with my clients. Evening talk overview and your first trance which focusses on “The Journey” – the Journey you have made and the Journey you will be making through the week. There will be food and wine and a chance to socialise after that – maybe even a foray into the hot tub! “Putting it all together” – Hypnotic techniques for the group to use based around our days together. Such as Pain relief, self motivation, dealing with blockages. “ Planning for your future” – more timeline but opening up to what is in there and out there – living in the present moment . Wrap up – each person will have CDs to take away with them of sessions covered. Graham – Putting it all together and final words and questions ..
Prices:£1200 for single (x 2 available) £900 for shared twin (two rooms) and £800 for our “bunk room” (can take four people). Our price includes, pick up and travel from / to the airport, Full Board (Bed, Breakfast, lunch, evening meal – including one night at a restaurant, all soft drinks and beverages during the day and transport each evening to Barga if required. Barga is full of interesting things in the Summer and there is a hot tub, Mountain Bikes, Beautiful walks and more and maybe a day in Puccini’s birthplace Lucca.